Background: The emergence of drug-resistant mycobacteria becomes a significant public health problem globally creating an obstacle to effective tuberculosis (TB) control. Gujarat, Maharashtra, and Andhra Pradesh DRS survey estimated that the proportion of multidrug-resistant TB (MDR-TB) is 2.1% (in new TB cases) and 15% (in previously treated cases). Programmatic management of MDR-TB implemented under Revised National Tuberculosis Control Programme in India in 2007. Objectives: The objective of this study is to evaluate treatment outcome and adverse drug reactions (ADRs) of category IV. 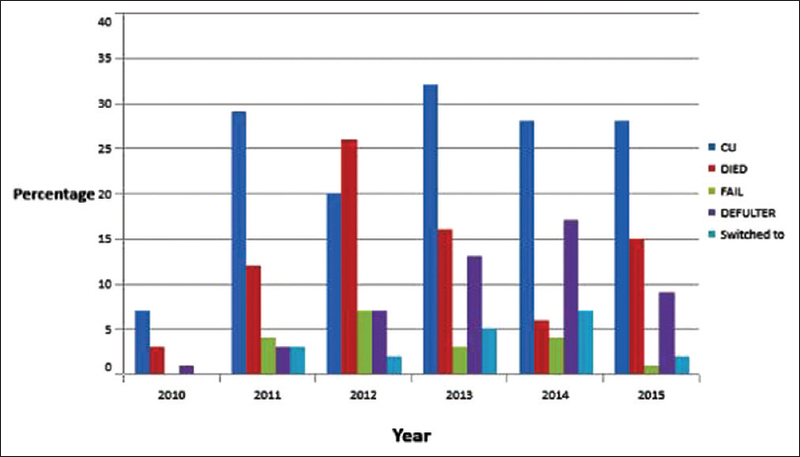 Materials and Methods: A total of 108 MDR-TB patients were analyzed retrospectively who registered and received treatment during the year of 2014 and 2015 at district TB centre, Rajkot. MDR patients who died or transferred out or defaulter before completion of intensive phase were excluded from the analysis. Results: Of total 108 patients majority patients (64.81%) were in young (20–39 years) with m:f: 2:1. All MDR-TB patients were retreated cases and 69.44% were “undernutrition category”. Culture conversion rate was 86.91% at 4 months of treatment. Cure rate was 50.93% while defaulter rate and died rate was same (17.59%). Failure rate was 18.51%. 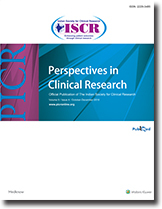 Weight improvement was significantly associated with cure rate. The incidence of ADR was 32.71%. Most frequent ADRs were related to gastrointestinal system (34.42%), ototoxicity (13.11%), and central nervous system (8.1%). Aminoglycosides, cycloserine, and ethambutol were discontinued due to ADR. Majority ADRs (77.04%) were “possible” category by causality assessment and “mild” in severity assessment. Ototoxicity was only severe ADRs observed. Conclusion: Cure rate was improved than previous years at same center. Attention should be paid for defaulters. The primary focus of the pharmacovigilance (PV) practice has been on the collection, assessment, and reporting of the adverse drug reactions to medicinal products. Globalization of the pharmaceutical industry has prompted efforts to toward harmonization of PV practices worldwide to enable improved knowledge of medicine's benefit-risk profile and risk communication. Even as PV has evolved over the past decade, there still exist few areas of discordance across global PV practices. This article compares the PV legislation in the United States, United Kingdom, Canada, and India with a view to understand areas of harmony in the current legislation across regions and further compare health authorities' requirements with recommendations made by international organizations. Identification of potential areas of disharmony would pave the way to design solutions and strategies toward creation of a comprehensive PV system, which can be easily implemented across the globe, thus promoting the safer use of medicines. Materiovigilance is the coordinated system of identification, collection, reporting, and analysis of any untoward occurrences associated with the use of medical devices and protection of patient's health by preventing its recurrences. Postmarketing surveillance of medical devices has been initiated in many countries, but it is still not as developed and robust as that of medicines. 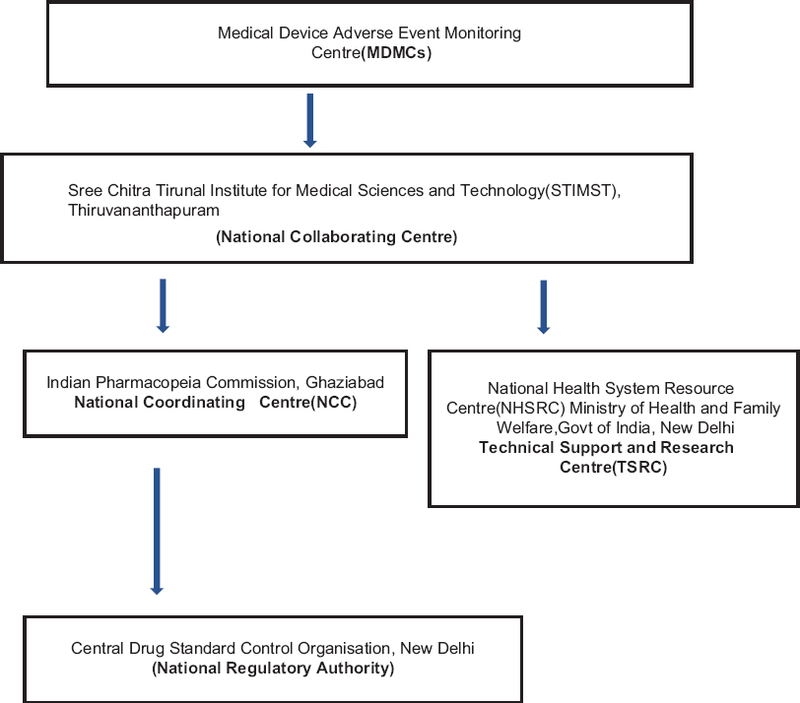 Materiovigilance program of India was launched on July 6, 2015, at Indian Pharmacopeia Commission with objectives to track the adverse events associated with the use of medical devices, to generate safety data, create awareness among the different stakeholders, and recommend the best practices and interventions to improve the patient's safety. Investigator-initiated studies (IISs) help by generating data on effectiveness and safety of a drug in the real-world setting and attempt to answer questions that clinicians face in their day-to-day practice. These are studies that are initiated and managed by a nonpharmaceutical company researcher/s who could be an individual investigator, an institution or a group of institutions, and a collaborative study group or a cooperative group. They are largely driven by questions that arise beyond the completion of Phase III studies that have not been studied during Phases I–III of drug development. The benefits of doing IISs are often offset by the myriad challenges posed by an IIS. These include finances, regulatory submissions, continuous oversight, training of study personnel, lack of expertise in statistics, data management, and medical writing Nonetheless, doing an IIS is extremely rewarding for the investigator and has the capacity to contribute to evidence and eventually impact policy. The present article presents both a brief literature review of IISs and a personal narrative of experience gained during the conduct several IISs in the last two decades. Challenges and potential solutions are described. 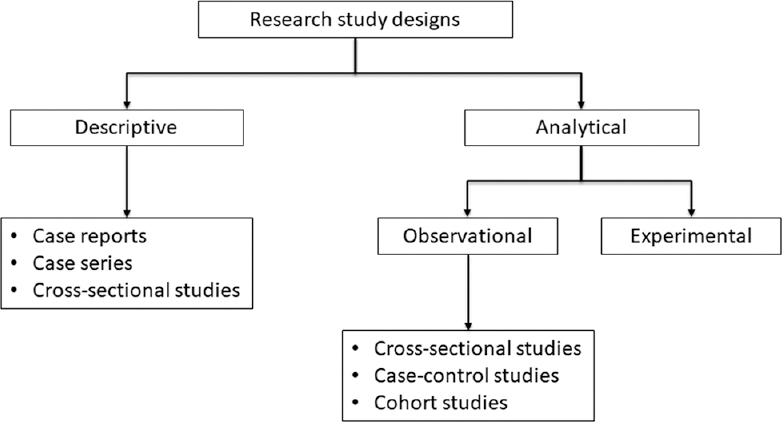 There are several types of research study designs, each with its inherent strengths and flaws. The study design used to answer a particular research question depends on the nature of the question and the availability of resources. In this article, which is the first part of a series on “study designs,” we provide an overview of research study designs and their classification. The subsequent articles will focus on individual designs.